Steven (Chicagoland, United States) on 24 January 2018 in Architecture and Portfolio. 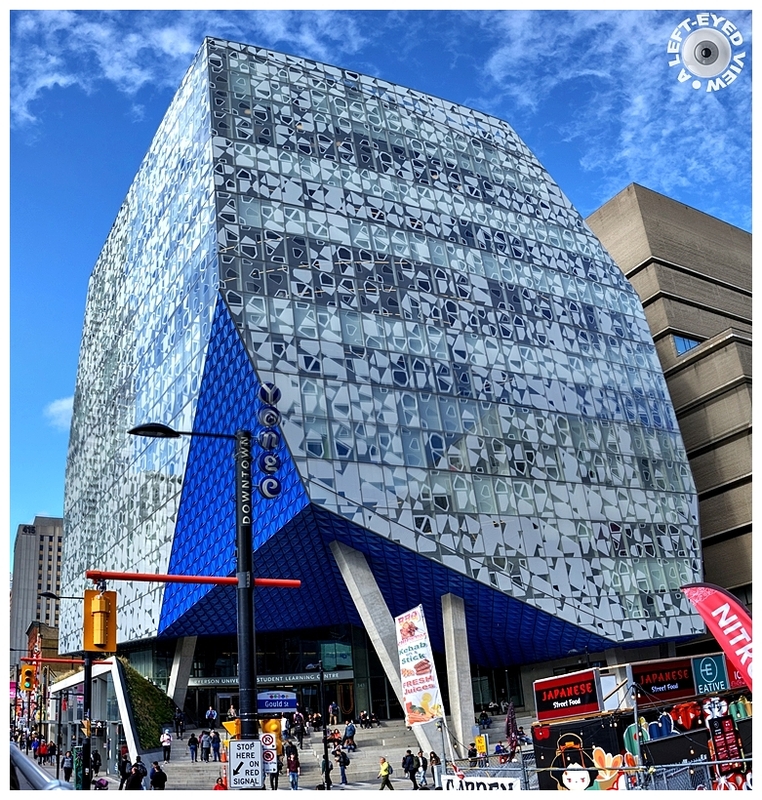 Ryerson University's Student Learning Centre (SLC) transformed the corner of Yonge and Gould into one of Toronto’s most vibrant, people-friendly intersections. Offering panoramic views of the city, high ceilings and plenty of natural light, the SLC provides an outstanding environment in which to study, collaborate and share ideas. The building stands eight stories high and is home to Ryerson’s School of Performance, Digital Media Experience Lab, Student Learning Support and more. Truly a library of the 21st century, the SLC has become a centralized hub for student learning, activity and innovation. A two-shot panoramic photo captured September 29, 2017. What a cool building that is! Thanks for the info! that is an eye catching piece of architecture ! Wowser, Steven. That's an architectural delight. The university I went to. I had no idea they had put up such an original looking building. A great image. Une architecture moderne impressionnante. Merci pour le partage. Un bloc surprenant : on le croirait en équilibre ! Great shot and truly inspiring piece of architecture. Superb composition around this beautiful and original building ! Like the Shibuya crossing in Tokyo? This type of diagonal crossing was introduced to London's busiest crossing, Oxford Circus, many years ago. But it's not very effective since Oxford Circus is not wide enough and the crossing time is too short. Brother, you did a bang up job of framing this one from a bus no less. I have yet to get it framed the way I want, and that's from street level with a variety of options! Fine work. It's a beautiful and practical building. I like how creative it's design is. An excellent picture. Wow! The architecture is amazing! I love the design and colors. It creates a very energizing feeling that you would want to learn. A wonderful scene! an interesting building with a original facade. Interesting. I don't think I have ever seen a building like that. Superb shot of this beautiful and interesting building. It's certainly eye-catching. That is quite the interesting building.